Aeromagnetic surveys measure the total intensity of the earth's magnetic field. The field was measured by a magnetometer aboard an aircraft flown at 150 m altitude in parallel lines spaced at 400 m across the survey area. 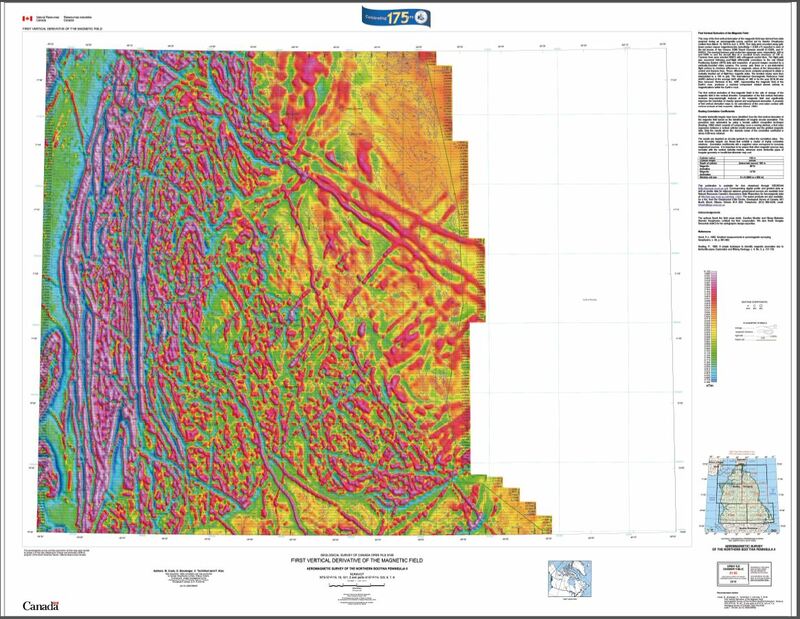 The magnetic field reflects magnetic properties of bedrock and provides qualitative and quantitative information used in geological mapping. Understanding the geology will help geologists map the area, assist mineral/hydrocarbon exploration activities, and provide useful information necessary for communities, aboriginal associations, and government to make land use decisions. This survey was flown to improve our knowledge of the area. It will support ongoing geological mapping and resource assessment.